There is uncertainty about the impacts of climate change on malaria transmission. Climate change models are created in attempts to predict the future of the disease. Could climate change be a positive phenomenon in the fight against malaria in West African countries? Figure 1. Anopheles stephensi mosquito. Photograph courtesy of William Collins, 2016, Pixnio. Public Domain. Figure 2. 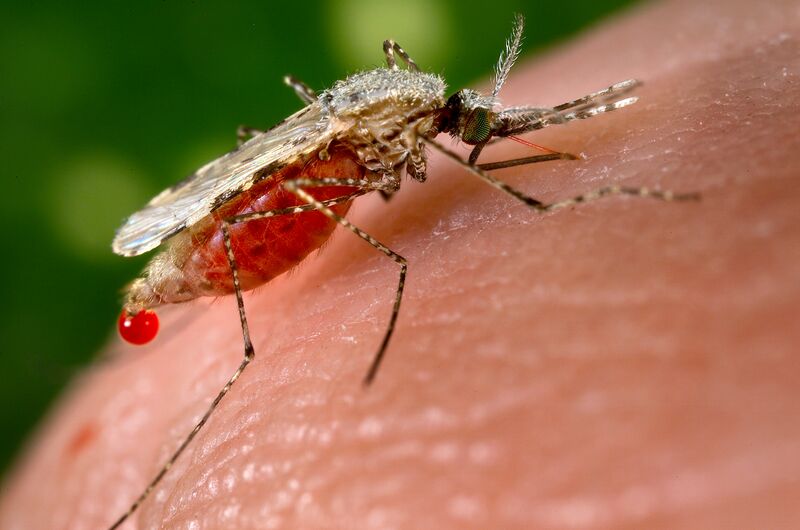 Parasites carried by mosquitoes can transport malaria all over the world. Macrogametocyte from the Plasmodium falciparum parasite that may be ingested by a mosquito spreading the malaria virus. Courtesy of Mae Melvin of the Center for Disease Control, 2973, Wikimedia Commons. Public Domain. The plasmodium parasite has some unique characteristics such as the micronemes, the rhoptry, and the polar rings. Courtesy of Jfbrancj14, 212, Wikimedia Commons. CC BY-SA 3.0. Deaths from malaria in Africa in 2012 have been measured per million persons. Data from the World Health Organization groups them by deciles shown in the last figure here. Courtesy of Chris55, 2016, Wikimedia Commons. CC BY-SA 4.0. and the World Health Organization, 2012. Figure 3. 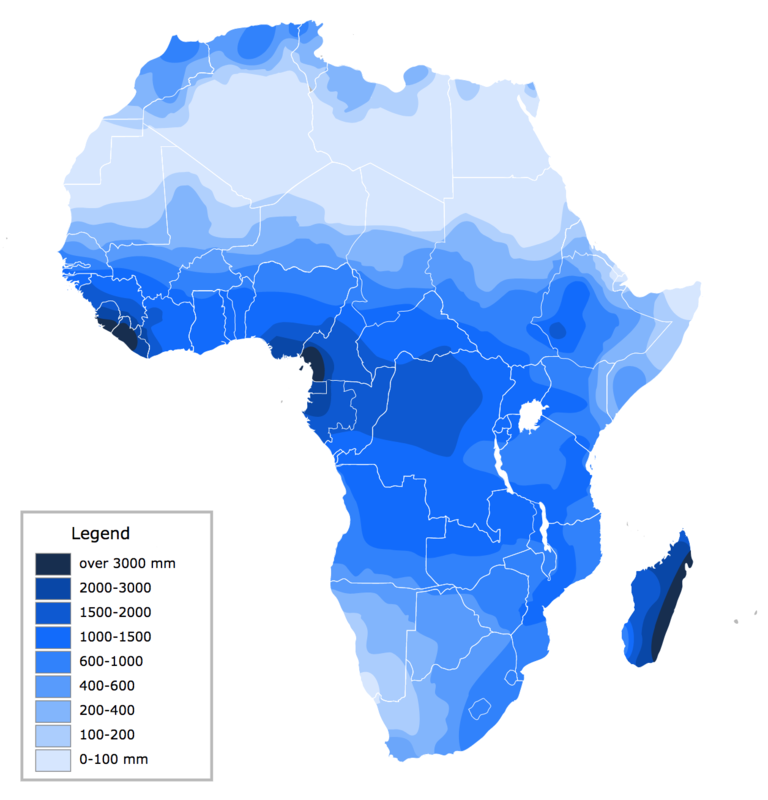 Africa Precipitation Map in millimeters. Courtesy of Delphi234, 2014, Wikimedia Commons. CC BY-SA 4.0. Figure 4. Mosquito Larva. Courtesy of Harry Weinburgh, Free Stock Photos. Public Domain. The West African burden of malaria and the factors that influence transmission are multi-faceted and convoluted in nature. As the global implications of climate change become more apparent, experts expect that poor nations will unfortunately have a greater share of the hardship.9 However, given the uncertainty of climate change impacts on malaria transmission, there is some hope that warming temperatures in West Africa may not exacerbate malaria transmission, but may rather play a role in slowing the rate of transmission.8 Yet, with the coupling of extreme poverty, lack of public health infrastructure, limited data, and the strength of Anopheles mosquitoes as vectors, these claims are impractical given the current state in West Africa. Development of better climatic models, as well as financial and educational strategies to alleviate confounding factors of malaria transmission, are necessary to lessen the burden of malaria in West African countries and create healthier futures for the next generation. Ayanlade, A., et al. (2013). Intra-annual climate variability and malaria transmission in Nigeria. Bulletin of Geography, 21(21): 7-19. Béguin, A., et al. (2011). The opposing effects of climate change and socio-economic development on the global distribution of malaria. Global Environmental Change, 21(4): 1209-1214. Caminade, C., et al. (2014). Impact of climate change on global malaria distribution. Proceedings of the National Academy of Sciences, 111(9): 3286-3291. Centers for Disease Control and Prevention. (2015, September 22). Impact of Malaria. Retrieved from www.cdc.gov/malaria/malaria_worldwide/impact.html. Kim, Y., & Schneider, K. A. (2013). Evolution of Drug Resistance in Malaria Parasite Populations. Nature Education Knowledge, 4(8):6. The Organization for Economic Co-operation and Development (OECD). (2008, January). Climate and Climate Change. Atlas on Regional Integration in West Africa. Retrieved from http://www.fao.org/nr/clim/docs/clim_080502_en.pdf. Revkin, A. (2007, April 1). Poor Nations to Bear Brunt as World Warms. The New York Times. Retrieved from https://nyti.ms/2lBAMbP. World Health Organization. (2015, October). Malaria. Retrieved from www.who.int/mediacentre/factsheets/fs094/en/. Yamana, T.K., & Eltahir, E.A. (2013). Projected Impacts of Climate Change on Environmental Suitability for Malaria Transmission in West Africa. Environmental Health Perspectives, 121(10): 1179-1186. Chris55. (2016). [Africa malaria deaths map]. Modified from Wikimedia Commons. CC BY-SA 4.0. Collins, Williams. (2016). 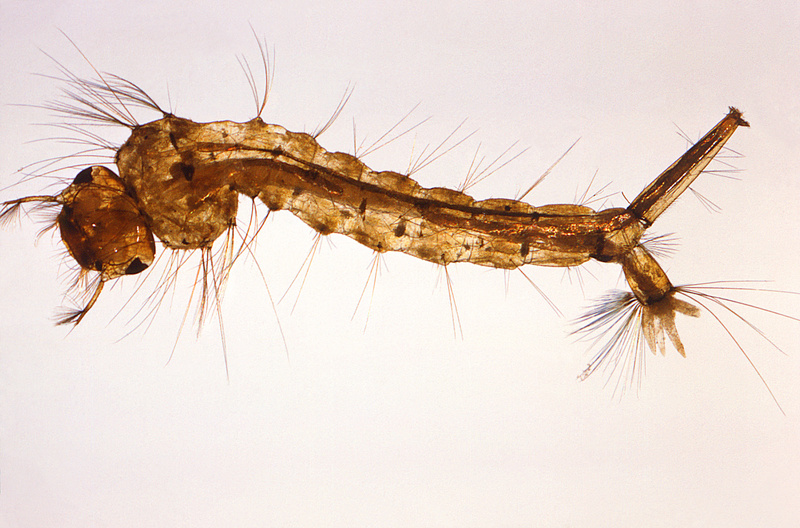 [Photograph of Anopheles stephensi mosquito]. Retrieved from Pixnio. Public Domain. Delphi234. (2014). [Africa Precipitation Map]. Retrieved from Wikimedia Commons. CC BY-SA 4.0. Jfbranch14. (2012). [Model of a plasmodium]. Retrieved from Wikimedia Commons. CC BY-SA 3.0. Melvin, Mae, Center for Disease Control and Prevention. (1973). [Photomicrograph of macrogametocyte in blood smear]. Retrieved from Wikimedia Commons. Public Domain. Weinburgh, Harry. [Photograph of mosquito larvae]. Modified from http://www.freestockphotos.biz/stockphoto/17031. Public Domain. World Health Organization. (2012). Estimated Deaths 2012. [Data for Africa malaria deaths map]. Retrieved from http://www.who.int/healthinfo/global_burden_disease/en/.